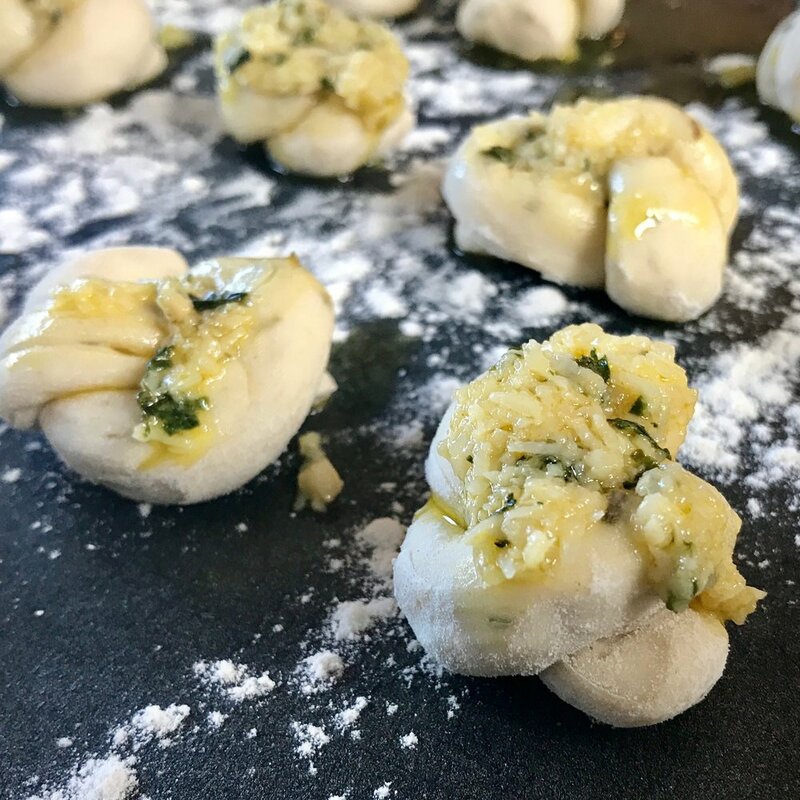 ROSEMARY GARLIC DOUGH KNOTS — NORTHERN DOUGH CO.
Like dough balls but better! These little twists of joy create lots of little nooks and crannies for the delicious garlic to seep into and are perfect as a side dish to accompany just about anything. 1 dough ball makes 14-16 dough knots. Pre-heat your oven to its hottest setting, and lightly flour your worksurface and baking tray. Divide your dough ball into 14-16 roughly similar sized pieces. Lightly roll between your palms to create thin sausage shapes of around 8cms in length, tie in a knot and arrange on the baking tray. Mix together the rest of the ingredients and spoon evenly over the knots. Bake for 3-4 mins until golden brown and serve. Warning, these will disappear fast!